Ready to Print was created by an Occupational Therapist with over twenty years of experience working with children. It is a comprehensive tool for parents, therapists and educators to help teach pre-writing skills to children in order to build a strong foundation for beginning printers. We continue working to make Ready to Print the most complete writing development iPad app available, and continue to add new features. 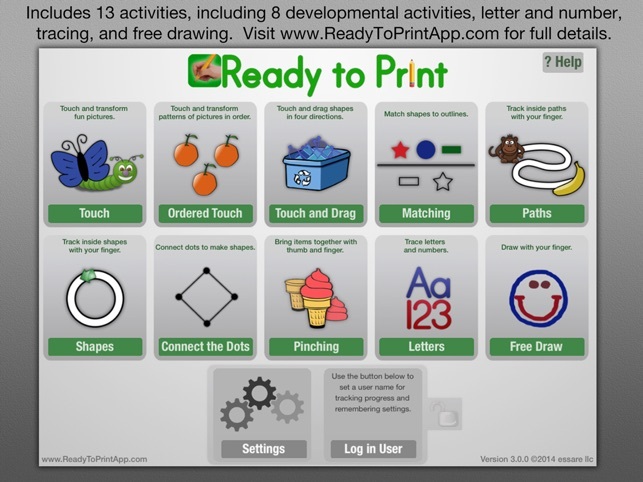 Ready to Print progresses through the pre-writing skills in a specific order, so that children can master the visual-motor, visual-perceptual, and fine motor skills necessary for correct printing patterns. It is designed to teach children the correct patterns for printing, and to avoid bad habits that are difficult to change as the child gets older. Now in version 3, Ready to Print features 194 separate levels in 13 activities. 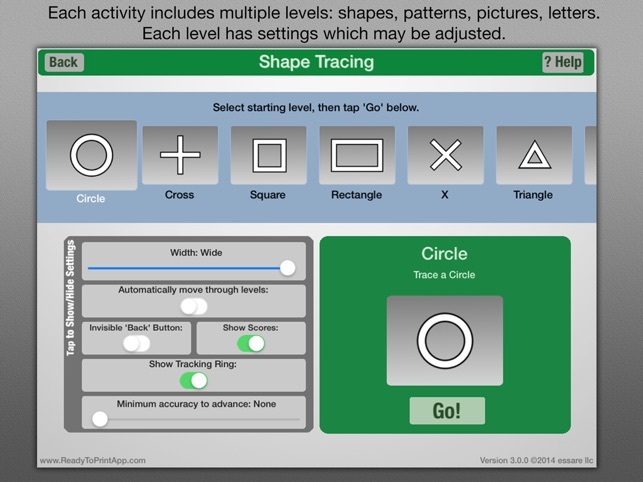 The latest addition is the Touch and Drag activity, which helps students work on movement in one of four specific directions. - It provides activities for both pre-writing skills. - It's designed with a progression of skills that work towards correct printing patterns. 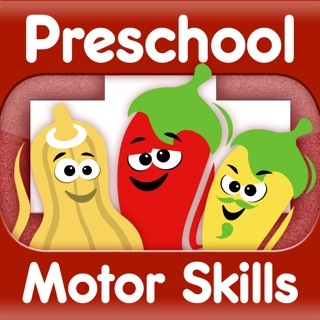 - It allows you to change size settings to match each child’s skill level. - It features a progression from larger hand movements to smaller, more refined movements. - It lets you choose which activity and level to begin on. - It allows setting up multiple user profiles, and remembers skill settings and tracks progress for each user. - It allows you to send progress reports via e-mail directly from the app. - It detects if you're using an iPad mini, and adjusts sensitivity automatically. - Choose from either sound effects or new professionally performed voice prompts. Ready to Print works on any iPad size. Requires iOS version 6 or higher. Visit www.ReadyToPrintApp.com for more details! Updates for latest version of iOS. 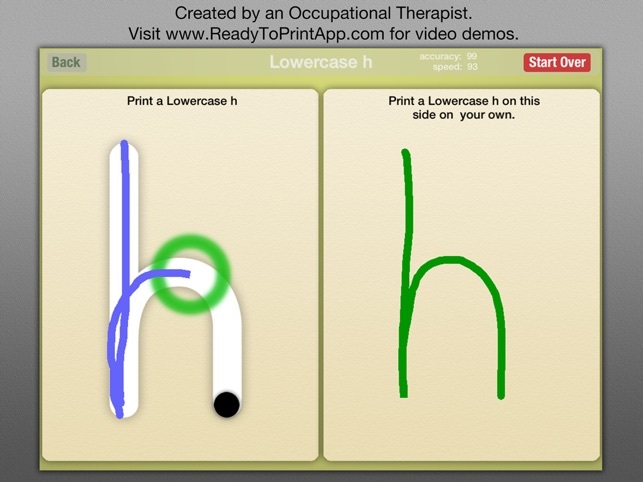 I use Ready to Print in therapy session for building language skills. 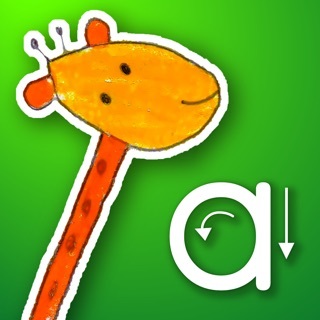 I am a pediatric school based occupational therapist and this app is exactly what I was looking for! 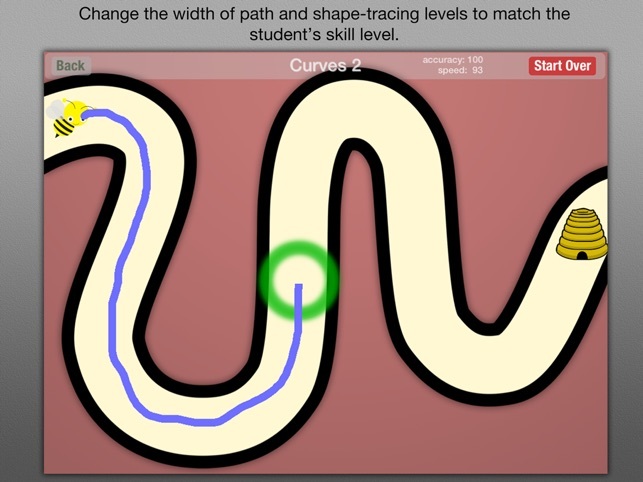 It allows adjustments for size of borders for tracing, tracking progress for individual students, and provides a variety of visual motor integration tasks to prepare kids for writing. Keep in mind that this is a great supplement but dont get totally away from pencil and paper and hands on type of activities which are also important. The only thing I was a little surprised about was that the shapes to trace where not in developmental order, but that is minor. I will be using this app daily, and with my own kids too! Finally an app that has everything I have been looking for. 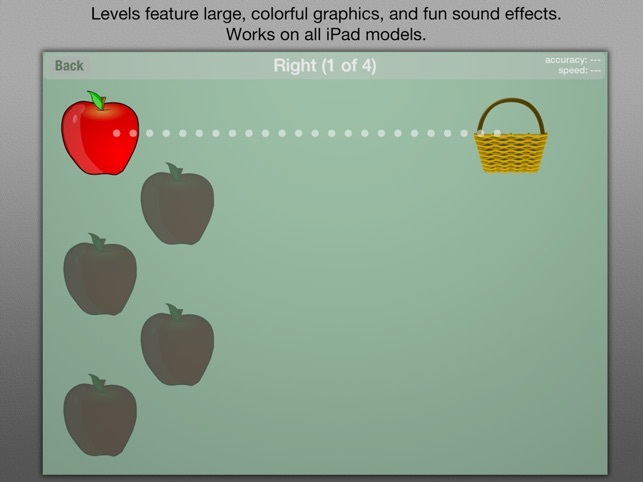 As a pediatric OT, I love using the iPad with kids, but had to use several different apps to work on various skills. With this app, everything is all together. There are so many things I love about it- it is simple with no distractions, I can change the size of the lines depending on the child's level, there are no negative responses with errors, plus many more! Thank you for such a well thought out app. I am definitely going to recommend this to parents. Requires iOS 9.0.0 or later. Compatible with iPad.